Brown legal size envelopes, edges worn with age and use would make their monthly appearance. Each outer label would indicate where the money would go. This is how I remember my father dealing with the family finances. In those days, people were not in personal debt the way they are today. They waited until money filled the ‘wish list’ envelope so they could actually afford what it is they wished for. Never has that been more true than today given the current state of the economy. Rather than feeling helpless, use this as an opportunity to teach your children an important life lesson – how to handle money. Give children an allowance so they learn how to manage their own money. Be sure to setup a bank account in their name. The family is a child’s first and most important experience in belonging. For that reason, make sure children have chores which you can find on Parental Wisdom. Be a good role model. 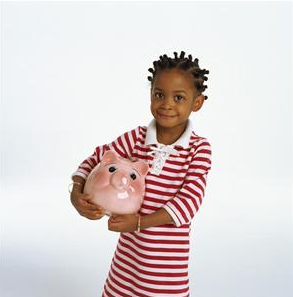 Teach your children how you manage the household budget and pay bills. Instead of clothes or toys or electronics, consider family outings or time spent together as a way to reward children. Encourage your child to select a favorite charity and to spend time and money on that charity. Counter the overwhelming marketing of licensed products and walk down the aisle with your kids showing the different price of the plain notebook or the one with Hannah Montana®, High School Musical®, Cars®, etc. Keep the change. A great way to demonstrate how pennies, nickels, dimes and quarters add up is to put the change from your pocket/pocketbook at the end of each day in a large jar. Don’t go to a bank where you dump in the contents and leave with cash. Instead, consider the old fashioned way of sorting and rolling the coins yourself. Make a guessing game of the total and then vote on what to do with the savings. Studies have shown the best conversations with kids happen during an activity. Involve your children in purchasing activities. With their comfort level in navigating the Internet, you may be surprised how they can investigate the best purchases, especially when it comes to electronic purchases. Discuss whether or not teens can handle a part-time job without neglecting schoolwork. Have teens set financial goals such as saving for a car. Explain to students going off to college that credit cards shouldn’t necessarily be banned, but spending must be handled properly. According to a survey in USA Today, college seniors are more worried about debt than terrorism. Despite conventional thinking you are not defined by what you do, but who you are and how you live your life. If you are at risk for losing your job, make sure you’re kids know that. Each new school brings brand new sneakers, book bags and promise. 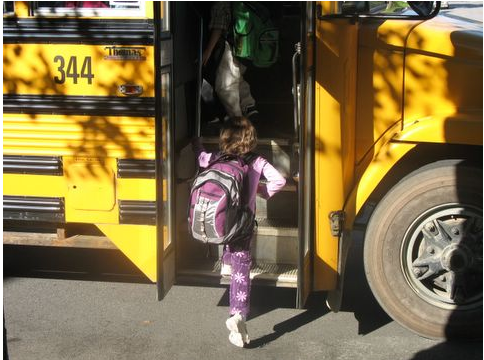 Children start the school year with an A+; they have to keep it. Parents can help in a number of ways. Whether it is the weekly meal menu, healthy lunch boxes, or having the school wardrobe ready, it’s always better to plan ahead. Include your children in the planning whenever possible. Rushing through the start of a day can easily spiral out of control. Keys, school papers, book bags, sports equipment, and musical instruments should all have a specific place in the house. Though parents can create the organization, kids need to maintain it. To help kids learn organization, consider purchasing Get Organized Without Losing It written for late elementary through middle grade. It has lots of kid-friendly humor and is written by Parental Wisdom advisor Janet Fox. Studies continually show that children that each a good breakfast with lots of protein can concentrate better in school. Get them up a little earlier to start the day right. a. Have school supplies in a place that is quiet and free from distractions. b. Teach them about budgeting their time so projects are ready, not rushed. c.	Review (not do) their homework so you know what is going on at school. d.	Make sure you dig deep into book bags so you can read all school notes. 5. Don’t wait for a red flag or a bad report card before recognizing a struggling student. Contact the teacher before your child gets too far behind. a. If your child walks to school, make sure he knows how to obey traffic rules. b. If she rides a bike, be sure she wears a helmet. c.	If he rides the bus, make sure the school district has installed seat belts. d.	Children can only learn if they feel safe. If your child is being bullied, discuss the situation with school officials and insist school programs that teach tolerance and inclusion such as Operation Respect. They offer free programs to schools. 7. Don’t let over-scheduling take away your precious family time. Limit the number of activities you allow your child to participate in. 8. Have dinner together every night. Use this a way for your family to stay connected and to let your children know they belong. Read more about Family Day, which is September 22nd. Pay attention to which subjects and teachers your child talks about. Often those are the teachers that have the most profound impact on your child. Write the teacher a note to let them know their influence. 9. Create an environment for lifelong learning, and teach your children that lessons can easily extend beyond the classroom. Extracurricular and family activities are good ways to help your child learn new things and gain confidence in his or her abilities. 10. Stay involved in your child’s school and participate especially when opportunities arise to meet your child’s classmates such as book fairs or school trips. 11. Keep in touch with your children’s teachers and let them know of any situation that may affect your child in school such as a family illness, recent move, job loss or divorce. 12. When your children challenge your family rules, as compared to their friends’ houses, such as no TV during the week, explain clearly but firmly that things are done differently in your house. 13. Routines are important to children as it helps them feel secure. Consistency is key when it come to bath time, reading and bedtime. 14. Remember you are preparing our next workforce generation. Be sure to instill the importance of showing up and not let your children stay home from school unless it’s absolutely necessary. In the same respect, make sure they understand that being on time is equally important. 15. Make learning real. Show how school skills are needed for such day-to-day activities as cooking from a recipe, balancing a checkbook and writing thank-you notes.